Interested in a Career in Meteorology? 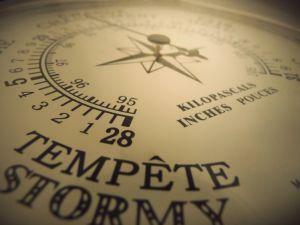 Are you interested in pursuing a career in meteorology? While the most visible job in this profession involves working for a broadcast news outlet, there are many other types of job opportunities for meteorologists. If you're thinking about going into this field, you need to learn about what is really involved in working as a professional meteorologist and what kind of training you'll need to complete in order to be eligible for employment in the profession. Meteorologists must have an extensive knowledge of the earth's atmosphere and how it impacts the environment in which we live. Most people who work in this field put their knowledge base to work for organizations that focus their efforts on trying to predict weather conditions. Some meteorologists also apply their knowledge to efforts to study and control air pollution and understanding environmental trends, such as changes in the ozone layer and the occurrence of global warming. Broadcast media outlets hire professional meteorologists to forecast and report the weather conditions. While many people find the glamour of working as a television weather broadcaster to be appealing, it's important to be aware that these jobs can be very difficult to obtain - simply because there are so few of them. While local and national networks, as well as several cable channels, do hire meteorologists, it is a fact that these jobs are in high demand and competition for positions is likely to be very steep. The federal government is a major employer of meteorologists in the United States, hiring skilled professionals to fill the various positions necessary to perform the important services provided by the National Weather Service. Some work in positions that primarily involve analyzing data to understand trends and make predictions, while others work in the field, actively involved in data collection and in the development of new and better technologies. Nearly 40 percent of the people who work in this profession in the U.S. are employed in a federal government position. The minimum credential necessary for consideration for employment as a meteorologist is a Bachelor of Science degree in meteorology, or a related field. You can utilize the online database published by the American Meteorological Society to identify colleges that offer degree programs in the field of Meteorology other field closely related to the study of atmospheric science. If your major is in a field other than meteorology, it is advisable to take courses specific to the profession for your electives. Many jobs - particularly government positions - require a certain number of hours of coursework in the field. If your goal is to work as a broadcast meteorologist, you may want to consider a double major or a minor in broadcast journalism or communication. It would be to your advantage to complete an internship with the weather department of a local television station as well, so that your resume can reflect hands-on occupational experience. Depending on the type of job you want, pursuing a graduate degree may be to your advantage. For many careers in meteorology, a Master's degree or doctorate may be required. For example, full time researchers in this field are almost always required to have a Ph.D. Additionally, in government positions, advanced degrees can lead to higher position classifications, which can result in increased pay. While certification and licensure are not required to work in this field, many employers prefer to hire individuals who have distinguished themselves by earning either the Certified Broadcast Meteorologist (CBM) or Certified Consulting Meteorologist (CCM) credential granted by The American Meteorological Society. In order to earn this credential, those who wish to be certified must meet experience and educational guidelines established by the association, as well as earn a passing score on the organization's certification exam. Certificants are required to engage in ongoing continuing education in order to retain the credential. This ensures that certified meteorologists continue to learn, grow, and develop as professionals. For information about the certification program, see the certification page on the American Meteorological Society's website. If you're ready to begin getting prepared for a career in meteorology, you'll need to start by selecting a program of study that will provide you with the formal education necessary to be considered for employment as a professional meteorologist. While you're in school, spend some time learning about exactly what is involved in the different positions within the occupation so that you can make an informed decision about which types of jobs in the field are the best fit for your talents and skills. The earlier you know what type of position you'd like to get following graduation, the sooner you can start working on building a transcript and resume that will let prospective employers know why you should be the candidate of choice when it comes time for you to apply for your first career position.